If you have always wanted to delve headlong into the real estate business and create wealth by so doing, then this is all you need to know. Opportunity to make wealth exists everywhere but not many people have the eye to see them. The authenticity of this statement is such that cannot be doubted whether in real estate or in other sectors. This situation has worsened as a result of poor economy that has pushed people to do what they would ordinarily reject. 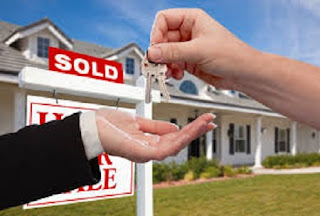 In real estate sector, a lot of opportunities are seen by different peoples from different angles. Some people see selling land as opportunity, others see building as opportunity while a number of others see duping shelter seekers as opportunity. But besides the above, a thousand and more opportunities are there in the real estate that are logical and tenable in terms of making a living. But with technology in real estate, a lot of people use their technological knowhow to create wealth for themselves. However, things are starting to simmer in real estate technology. The first phase of technology development in the category, which was primarily focused around listing services for the residential side of the market, has paved the way for industry leaders to broadly reconsider how technology can make their lives better. For those in the technology world with some background in real estate, the opportunity may seem obvious. But real estate is a sector of the economy that has created immense wealth without changing their workflows or processes for many decades, so there is a predisposed lack of urgency to upgrade the old tool belt. Tech-enabled commercials: Contrary to the incumbents in the residential market, which are predominantly media businesses generating revenue from advertising, a real opportunity exists for tech-enabled commercial listing services that could level the playing field, acting as marketplaces, and replacing the less efficient relationship-driven model that still persists today. Managing property: Several companies are already competing for dominance in this category, most offering software that helps property owners and management companies oversee and easily track commercial real estate assets. Industry-wide adoption is still under 10 percent, though, so lots of opportunities for growth remains. Until they are explored, no resources will come there from. Statistics: Traditionally, commercial real estate developers would bend down with teams of analysts using HP calculators and gathering demographic research to evaluate an investment opportunity. Today, open data initiatives in municipalities across the country combined with creative needle threading by software developers is changing this landscape, and much of the data is readily available via monthly income licenses. Residential and Commercial Lending: Regulatory changes have opened up opportunities for innovation in lending, and real estate lending is by far the largest sub-category. We are starting to see a number of emerging companies target this area in different ways. Residential and commercial lending are different animals so the guess is that we’ll see a dozen worthwhile challengers going after each market. The real estate industry is vast and we’ve only just begun to scratch the surface when it comes to opportunity for technology-enabled innovation. Given the dollars at risk and the proportion of the broader economy that real estate represents, there is every reason to believe the category will produce multiple ‘unicorns’ worth billions in enterprise value. The past two years have been the most exciting yet for real estate tech and I can’t wait to see what the next few will bring.